The common wisdom is that the first task of leadership in the digital era is to disrupt old processes, usually by breaking down silos. When you reorganize to break down one kind of silo, you create others. Silos are functional groups and need clustering to work effectively. The real problem is silos are disconnected and information travels slowly, resulting in failure to adapt. The role of leaders is no longer to plan and direct, but to empower and shape networks that enable actions at the speed the environment demands. That requires platforms that allow access ecosystems of talent, technology and information.The answer is to not try to eliminate silos, but to connect them effectively. Nobody likes a silo. Or a stovepipe for that matter. These insular structures restrict the flow of information, which makes it hard to coordinate action and adapt to change. In some cases, it can even lead to disastrous consequences like the General Motors ignition switch scandal. So it should be no surprise that managers try to break down silos whenever they can. The problem is that when you reorganize to break down one kind of silo, you inevitably create others. If, for example, your company is organized around functional groups, then you will get poor collaboration around products. But when you reorganize to focus on product groups, you get the same problem within functions. The answer is to not try to eliminate silos, which are inevitable and often have important benefits, but to connect them effectively. Yet that’s easier said than done. As Chris Fussell explains in his new book, One Mission, it requires us to reimagine how organizations really function and learn to shift our thinking from hierarchies to networks. For all of the complaining about silos and stovepipes, there is very little discussion about how they arise. For any significant task, you need highly skilled specialists working closely together. As they develop strong working relationships, they develop their own ethos, working terminology and build strong bonds of trust. This is especially true of elite teams, who develop a code of excellence. For them, membership in their tribe requires sacrifice, dedication and commitment. Perhaps not surprisingly, they are often suspicious of outsiders, who do not share their identity and prefer to stay within their own ranks. In a typical hierarchal organization, that’s very difficult to do. Authority comes from the top and travels downward. Incentives, both monetary and cultural, reward behavior that benefits the tribe. Everybody wants their team to outperform others, be recognized for their accomplishments and be rewarded accordingly. We need to identify a different model. In management circles, the term “networked organization” has come into vogue, but network dynamics are often misunderstood. The phrase is commonly used to mean an organic, amorphous structure, but really a network is just any system of nodes connected by links. So in that sense, any organizational structure is a network, even a hierarchy. For functional purposes, networks have two salient characteristics: clustering and path length. Clustering refers to the degree to which a network is made up of tightly knit groups while path lengths is a measure of social distance — the average number of links separating any two nodes in the network. We often hear about the need to “break down silos” to create a networked organization, but this too is a misnomer. Silos are functional groups and they need a high degree of clustering to work effectively and efficiently. The real problem in most organizations is that those silos are disconnected (i.e path lengths are too long) and information travels too slowly, resulting in a failure to adapt. The most efficient networks are small world networks, which have the almost magical combination of high clustering and short path lengths. So silos aren’t the issue — high clustering promotes effective collaboration — the trick is to connect the silos together effectively. There are a number of ways to network your organization. Internal training programs and offsites can help build crucial links between disparate divisional and functional areas. Some companies, like General Electric, encourage executives to work in multiple divisions during their career, building not only a wide base of expertise, but also important relationships. Yet Fussell points out that today our environment moves much faster and link building needs to reflect the cadence of the marketplace. Sure, it’s helpful to have long-term relationships that span organizational boundaries, but we often need to build new connections in real-time as a situation develops. In One Mission, he describes two such platforms for connection. The first is the Operations and Intelligence (O&I) forum. These are meetings, usually held among a core set of people but open to anybody in the the wider organization through videoconference. It is held regularly, usually daily or weekly, and is made up of short briefings on anything important that is going on. The second is liaison officers. These are not the usual coordination positions, but are restricted to high performing executives that can build credibility throughout an organization. For example, liaison officers at Eastdil Secured, a real estate investment bank, hold their positions for nine months and are responsible for explaining what relevance recent transactions in their office may have for the greater organization. What’s crucial to understand is that the goal of these platforms is not to create a “matrixed organization” — a truly networked enterprise can never be captured on an organization chart — but to foster informal linkages. For example, a liaison presenting the emergence of a new investor looking for a particular type of deal on an O&I forum might get a private message from someone else tuning in. Historically, organizations were designed for stable environments. Strategy was formulated by a single, heroic leader, whose wisdom was augmented by the eyes and ears of a small group of confidantes. Hierarchies were set up with vertical lines of authority in order to carry out orders from the top. Success was measured against plans that were handed down from the top. Yet today, we have to manage for disruption, not stability. “We need to debunk the ‘heroic leader’ myth. If we believe in mountain top leaders, we end up centralizing our organizations around the mountain top instead of pushing accountability to people who are closer to the problems.” Chris Fussell told me. So today the role of leaders has changed. Their primary function is no longer to plan and direct action, but to inspire and empower belief around a single mission and to shape networks that enable actions to take place at the speed which the environment demands. That, in turn, requires the use of platforms that allow everyone in the enterprise to access ecosystems of talent, technology and information. 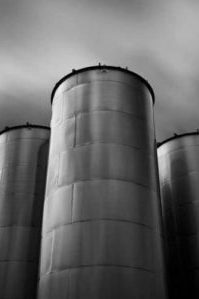 So stop obsessing over silos and start thinking about how your organization can transcend them.